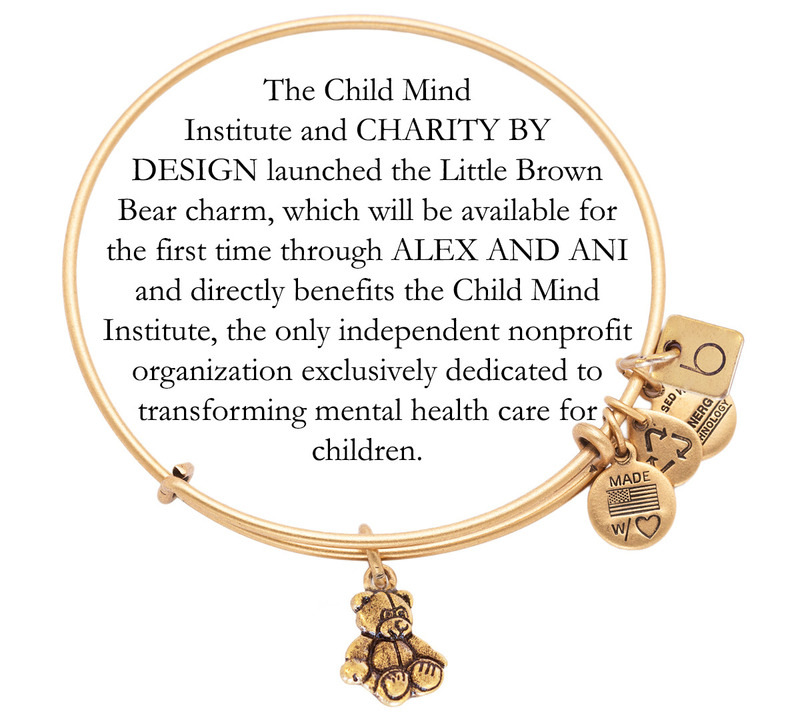 The Child Mind Institute and CHARITY BY DESIGN launched the Little Brown Bear charm, which will be available for the first time through ALEX AND ANI and directly benefits the Child Mind Institute, the only independent nonprofit organization exclusively dedicated to transforming mental health care for children. The launch party was held at the Alex and Ani Soho location as the bangle was introduced, 15% of all sales and 20% of all Little Brown Bear Bangle sales at the event went directly to the Child Mind Institute. If you want to shop the CHARITY BY DESIGN collection and support the cause, please visit the Alexandani.com website.